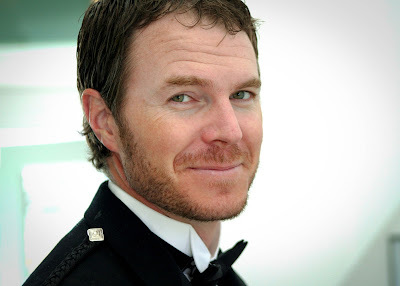 Last year at this time, BSB’s sister got married. To say we were involved in the wedding would be an understatement. My whole family was part of the wedding party, I did the flowers, created the hot cocoa bar, BSB and I sang at the ceremony, and I helped coordinate the volunteers in the kitchen and. And I was five months pregnant. Needless to say, I didn’t get the chance to be much of a photographer that night. I did a quick post last year with the 3 photos I took, but wanted to show you more of the event when I got some better photos and hopefully before they are celebrating their 50th wedding anniversary. Neither the bride or groom is from Scotland directly, but both have Scottish ancestry and the groom has traveled to Scotland and is enamored of the culture, so it was his idea to go the kilt route. 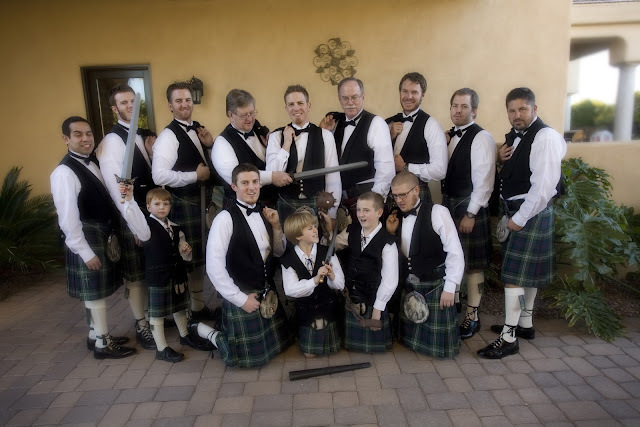 I was a little surprised that he was able to get all of the men on board with it (especially BSB and his dad), but it made for a fun and memorable wedding, and I think we were all surprised at how manly they all looked in their kilts. 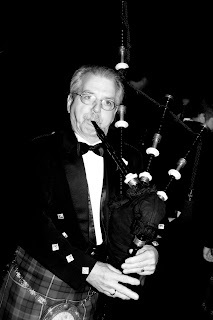 They even had a bag-piper for the wedding. 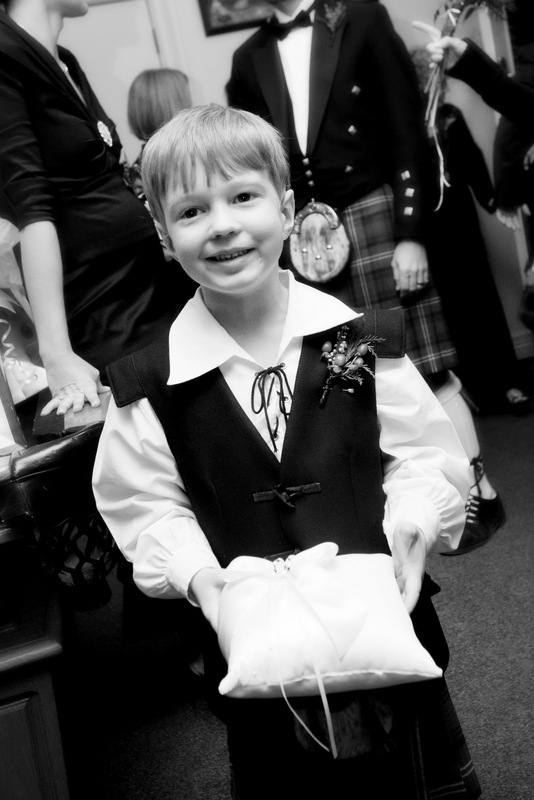 My son (the ring-bearer) was enthralled! The boys had a little fun with some props. Especially my son. He was swing a sword all night! 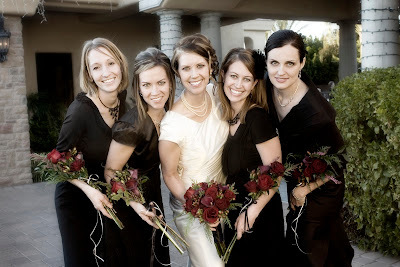 The ladies each wore their own choice of black dress, and I designed the bridesmaid bouquets to be carried in the appropriate fashion for a Scottish wedding (at least according to the kilt rental guy who was full of advice about everything related to Scottish weddings). I made two of these giant arrangements that served as a back drop to the ceremony area. I actually used floral foam inside the vases (they are from Hob Lob, I think), to help hold the flowers in place with all of the transporting. After placing the foam, we wedged the cranberries all around it. That helped keep them from floating when water was added, and hid the foam. The lighting isn’t great in this picture (I took it at home during the prep), but you can see the hypericum berries. 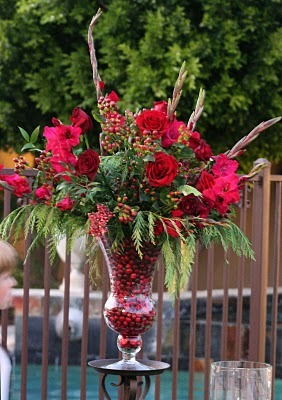 I also had some peppercorn berries, and deep shades of roses. I think we did some of black magic roses, plus some others that weren’t quite as deep. 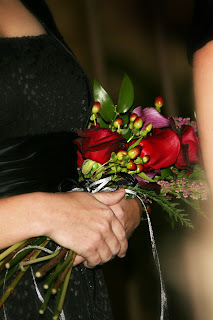 There were also mini callas in the bouquets. 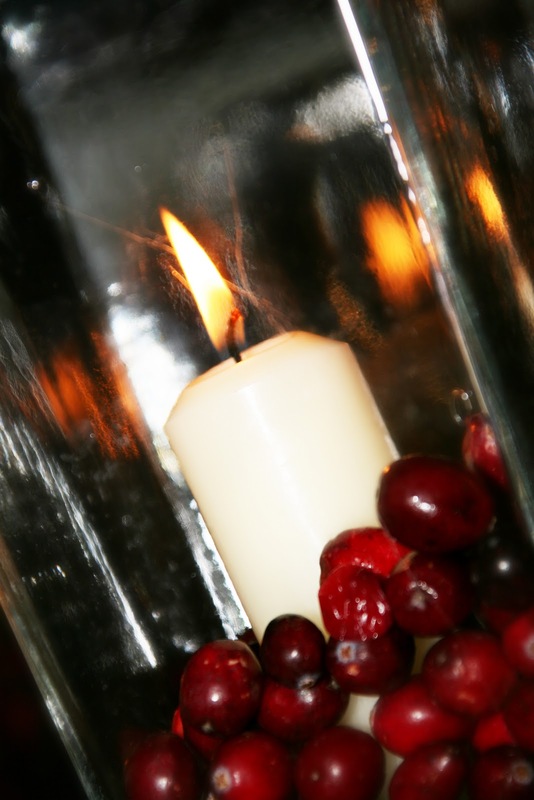 The aisle was lined with these candles in vases filled with cranberries. They also served as centerpieces on the tables during the reception. Only the finest in entertainment and BSB in his kilt! 🙂 We actually found a traditional, simple Scottish folk song to perform that seemed appropriate for the occasion. …the hot cocoa and cider bar! I think I had designed it to go on a rectangular table and we had to switch to a round at the last minute, so the layout isn’t as eye-catching as I might have liked, but the bar was a HUGE hit! 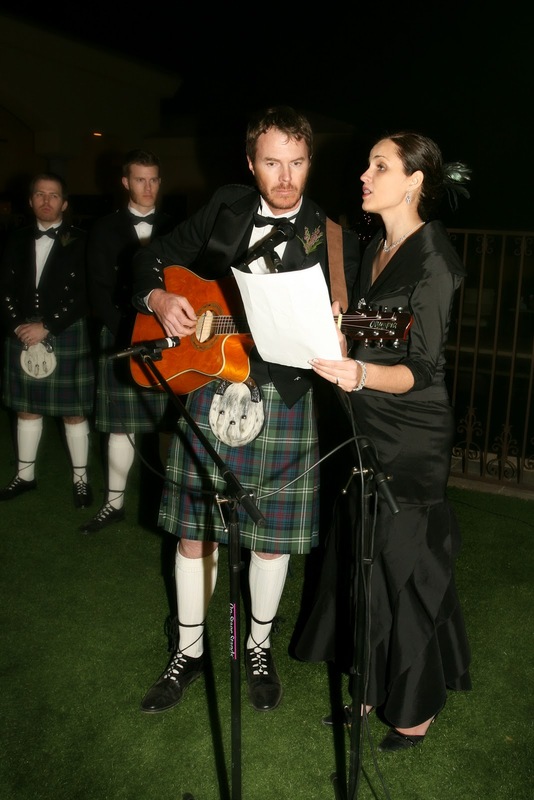 Of course, it was cold that night (outside in January, so yeah, even in Phoenix, we do have a little bit of winter sometimes), but we couldn’t keep up with the demand! We had a couple of different dispensers going with cocoa and spiced cider. Guests could add flavored creamers, candy sticks (we had cinnamon, peppermint, and raspberry), all sorts of spices and toppings in cute shakers (nutmeg, cinnamon, chili powder–for the brave, crushed candy canes, chocolate sprinkles, etc. ), and of course, marshmallows, caramel syrup, dark chocolate chips, and whipped cream. There were also some of the bride’s favorite cookies that she loves to eat with hot cocoa on the table as well. 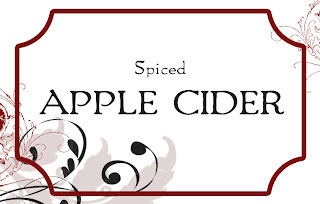 I designed the labels using elements from a digital kit I purchased from Rhonna Farrer a few years back. I took packaging labels off of everything and replaced them with my labels. 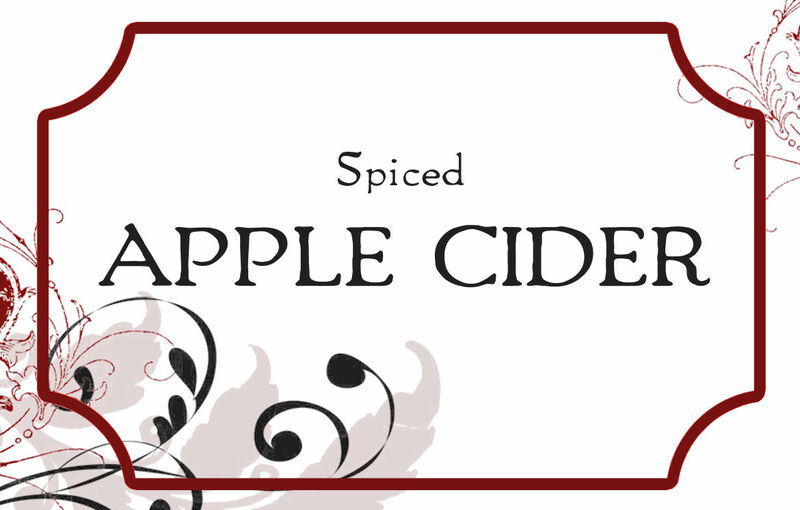 There aren’t any close-up shots of the labels, so here is a sample one. 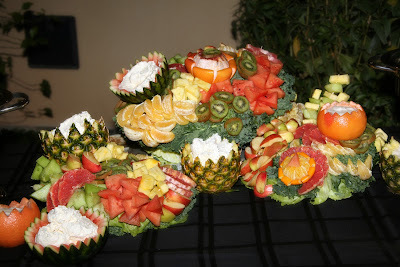 I still don’t have a ton of shots of the decor (like I would have taken) but here is the cake (made by the friend that did our awesome wild cake here), and a shot of the fruit sculpture (enormous!) that my SILs put together for the occasion. The home where the wedding was held, was really gorgeous, so we didn’t do a lot with decorations. Strings of lights above the dance floor go a long way! So that’s a small taste of the wedding festivities we were recovering from last year at this time. 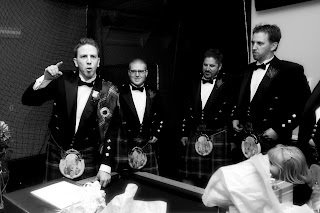 What a cool wedding!!! 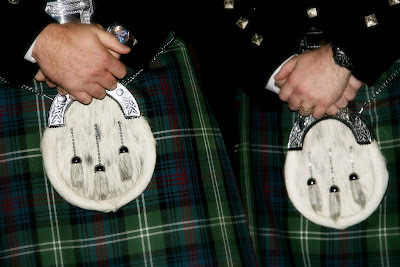 I love the kilts! And that picture of your family is GORGEOUS!!!! You guys are beautiful! Beautiful! I LOVE LOVE LOVE the hot chocolate and cider bar! 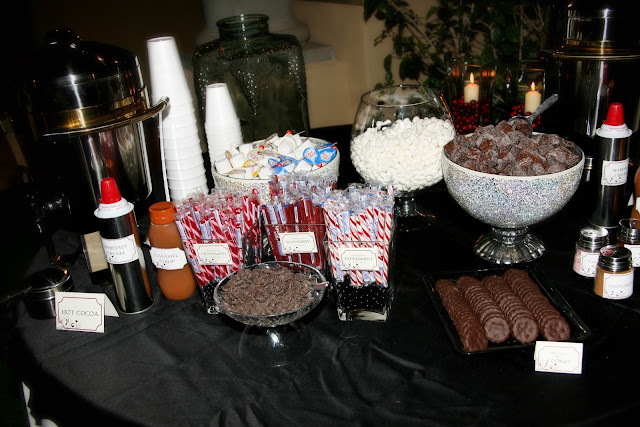 I JUST posted my "hot chocolate station" picture last night, which pales in comparison! 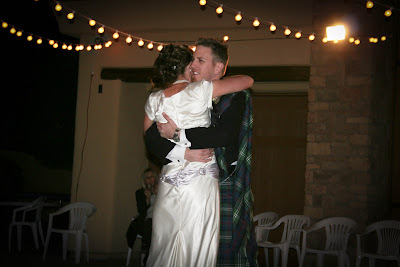 Looking at these pics made me feel sad that I didn't have some one to get the vision that I wanted for my wedding so many years ago oops oh well the guest had a blast so that is good. love it, love it. 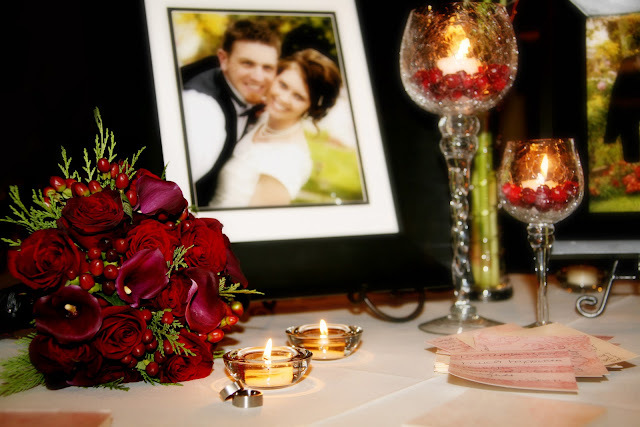 I think I used the word love too much but I think the floral arrangements with the cranberries are insane and I love them. Oh my – every picture is beautiful. The cranberries in the candles are so striking. What a great idea! Kendra you are sooo talented. Your attention to detail is amazing. 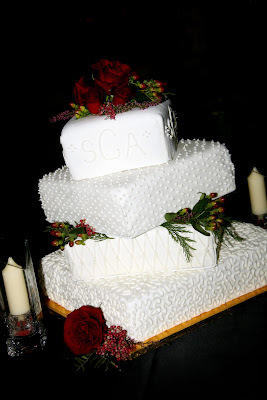 I love seeing any party (in this case) wedding that you are involved in. 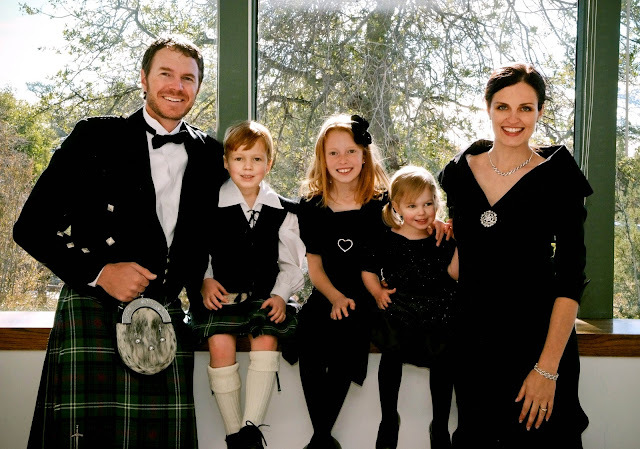 That pic of your family is beautiful and I can't believe you were 5 monts pregnant in it! Thanks for linking up to my Pity Party! So beautiful!!! I LOVED EVERY PIC!!!! I am your newest follower. Saw you on CSI project! Loving the cider bar! And the bouquets too. Very pretty! Thank you! 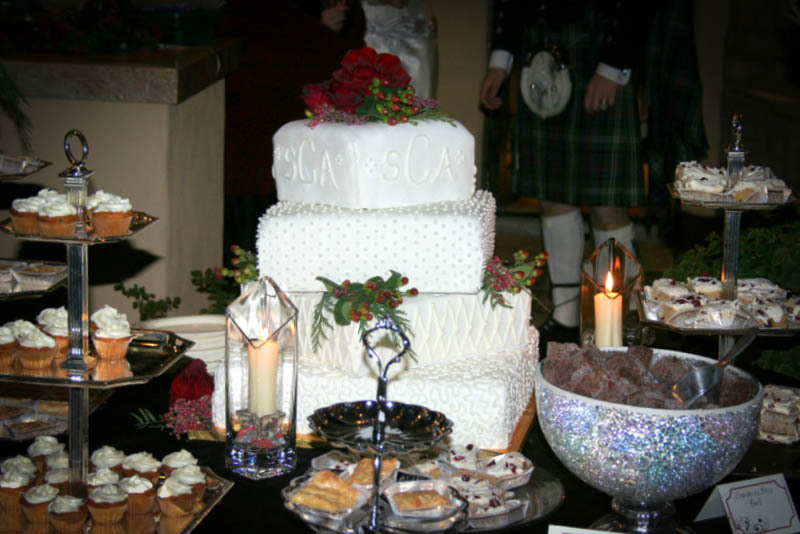 It was a fun to bring wintry things to a wedding.